Welcome to the January 2019 We Create BLUES Blog Hop!!! This month we are creating projects in BLUE...my favorite color! 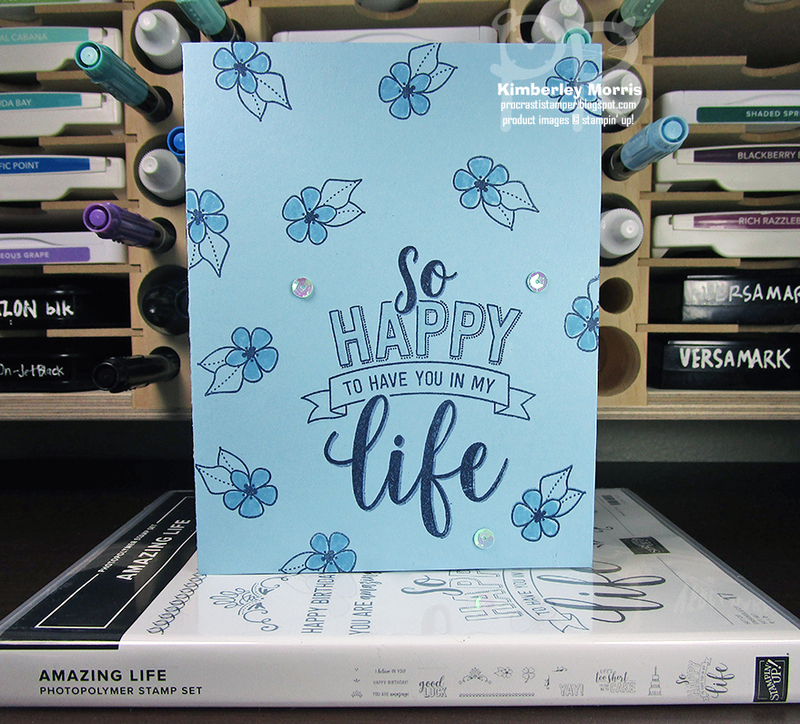 My card features the Amazing Life stamp set, which is in the upcoming 2019 Occasions Catalog that will debut on January 3rd. You'll be able to see all the 2019 Occasions Catalog products in My Online Store starting January 3rd, but you'll find the rest of the supplies for this card are already available. 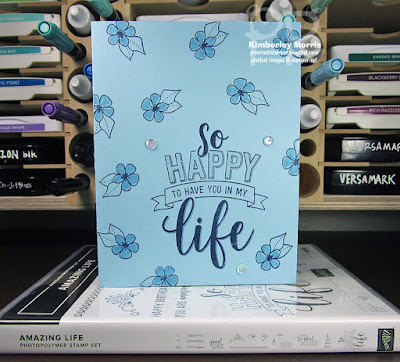 I used Balmy Blue Cardstock, the Night of Navy ink pad, and a Balmy Blue Stampin' Write Marker (available in the Subtles Assortment), as well as a Night of Navy Stampin' Write Marker (available in the Neutrals Assortment). 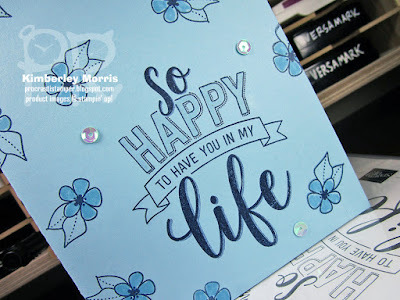 This project fits neatly within the #simplestamping category of creations that Stampin' Up! challenged demonstrators with in November. Projects that fit into the #simplestamping category usually stick to using one stamp set, plus ink and paper. 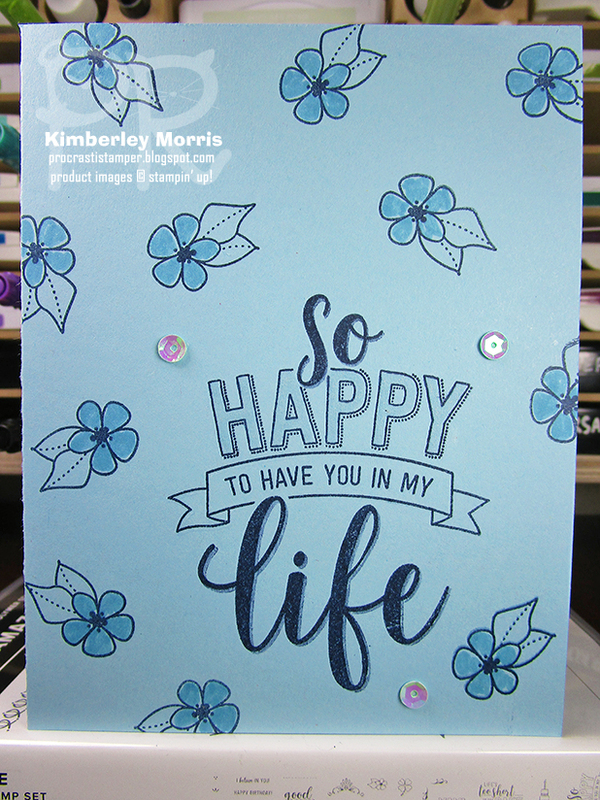 They can be "single layer" cards like the one I've created, or have more layers, but they are pretty quick and easy to create without tools like the Big Shot. I used the Balmy Blue Stampin' Write Marker to color in the petals of the background flowers, and I used the Night of Navy Stampin' Write Marker to do a simple Drop Shadow Technique on the bold script letters of the saying. I'll see if I can do a quick video of this card later today to show you that technique. To finish off the card, I added a few Iridescent Sequins for embellishment, which I adhered with Tombow Liquid Glue. And it's hard to see in the pictures, but the word 'HAPPY' is glistening because I colored it in using the Clear Wink of Stella brush. 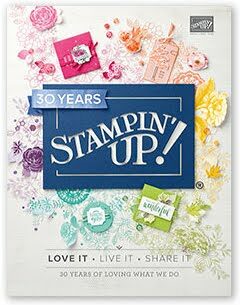 Stampin' Supplies: Amazing Life stamp set, Night of Navy ink pad & marker, Balmy Blue cardstock & marker, Clear Wink of Stella, Iridescent Sequins, Tombow Liquid Glue, Simply Shammy (to clean stamps), Stampin' Trimmer (to cut & score card stock). Don't forget Whisper White Medium Envelopes to mail your cards! Make sure you SIGN UP HERE no later than 11:59pm MT on January 10th to receive this Paper Pumpkin kit in January. It will include supplies to make 24 Valentine Treat Packages! This kit was designed to work with the Animal Expedition Suite of products. The coordinating colors will include Crumb Cake, Flirty Flamingo, Lemon Lime Twist, Melon Mambo, Petal Pink, and Pool Party.